Connect a microphone to project your voice to your audience clearly. Wireless microphone model gives you freedom of movement. 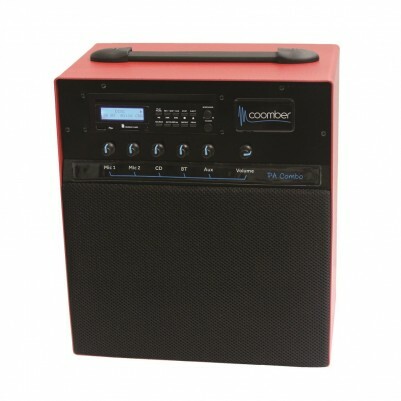 This classic style of portable amplifier is ideal for practice and performance if you are a budding cabaret star. Easily mix microphones with a backing track from CD or an MP3 on USB Memory Stick or SD Card. If you are an instrumentalist you may well need a CD player that can be loud enough against your instrument while you practice playing along to your favorite tunes! The line input can be used to amplify alternative backing track sources including keyboard. The wireless microphone model allows you to have complete freedom of movement. We can offer either a compatible handheld wireless microphone, or if you need to keep both hands free a headband microphone.